The popularity of hotel bathroom design combined with the importance of wellbeing and relaxation has increased the demand for innovative wellness products for a luxurious and therapeutic experience at home. For an improved showering experience, the new advanced shower nozzles offer better performance with spray patterns that dispense water more quickly and evenly; they’re also easy to clean by simply brushing the nozzles. The new designs include ultra-thin wall mounted showerhead; Glide with designer looks and enveloping soft shower design and Zion is a new chrome brass showerhead providing the best spray coverage per area. 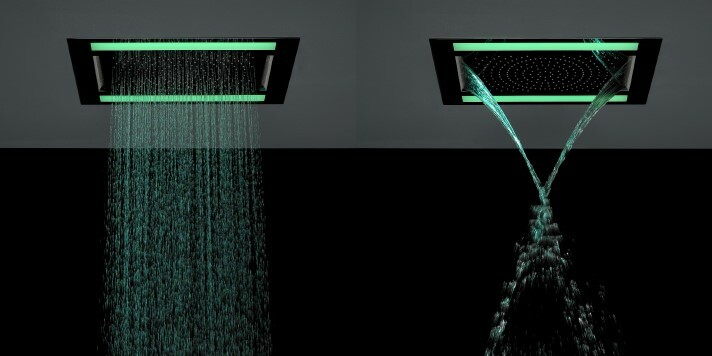 Rio Revive is operated by a remote with sleek LED lighting and a unique centre rain effect shower, which flows from the centre with a side waterfall. Seek the benefits of chromotherapy that balances energy and achieves spa wellness with the collection of illuminating showerheads, for a revolutionary LED light showering experience. The low consumption LED lamps create a truly magnificent column of water and light. 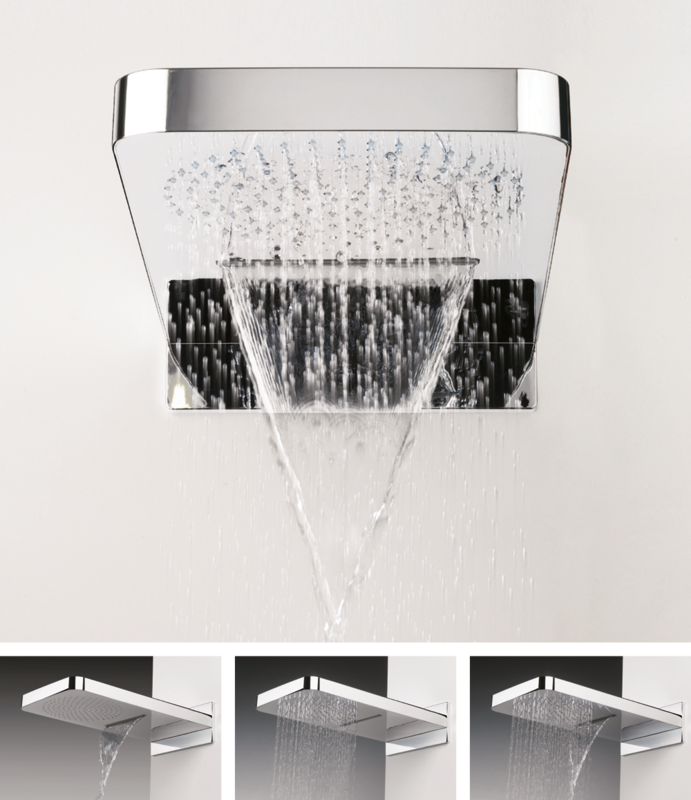 Other super slim fixed head designs include the stylish Elite range that features multifunctional spray settings where each water flow channel has its own water supply to conserve water when switched to a reduced flow setting. For a feel-good experience switch between waterfall and rainfall shower functions, which can be operated simultaneously with the Revive design. Hailed by the beauty, medical and health sectors, the benefits of wellness products are known to relieve many physical and emotional ailments from back pain to anxiety. For an invigorating shower and body massage, choose from a selection of powerful body jets with adjustable pressures to target specific areas of the body to alleviate pain.